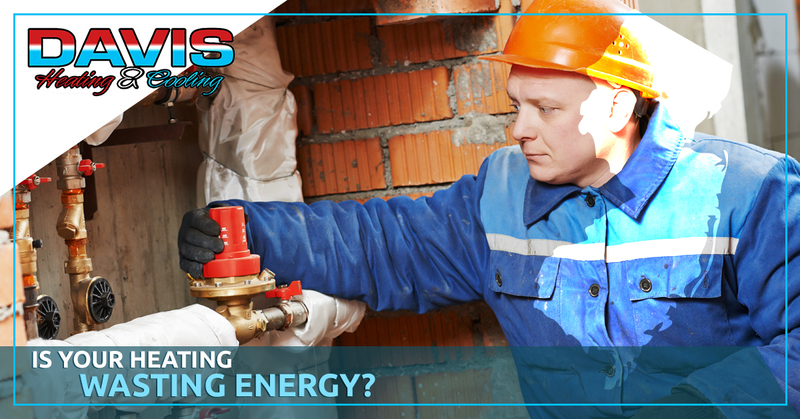 Heating And Cooling Companies: Is Your Heating Wasting Energy? In just about a month’s time, winter will be here and we’ll need to ensure that our homes are prepared for the holidays. Chances are, you’ve already started making plans with your family members and looking for ways to take as much time off work as possible so that you can enjoy your time with them. However, since you’re going to be spending a lot of time inside in the next couple of months, have you considered whether or not your heating system will hold up? If you’re looking for heating and cooling companies in Flemington, don’t hesitate to call the experts at Davis Heating & Cooling LLC. In the meantime, we’re going to take a look at some ways you can tell if your heater is wasting energy this winter. Your heating system’s annual fuel utilization efficiency rating (AFUE) is one of the best ways to check your heating system’s efficiency. This rating is designed to measure exactly how effective your heater is converting fuel to energy. Think of this as the “miles per gallon” of your heating and cooling systems. If the number is high, this means that your heater is running efficiently; if it’s low, it means that your heater could use some maintenance. In order to find your system’s AFUE rating, be sure to check the user manual. There should be a sticker inside the furnace cabinet that should direct you to the right place. In order for a heating system to be considered “high-efficiency,” it must run at 90 percent AFUE. What this means is that 10 percent of the fuel used is being wasted. However, even if your AFUE is 90 percent, maintenance certainly won’t hurt. Although knowing your heating system’s AFUE rating should be your first step, you should also check your system’s age. It’s always a good idea to keep accurate records of your heating and cooling system’s maintenance and repair history, as well as the year it was installed. This will help you make better decisions about it and let you know if it’s time for a replacement. Most systems will last 15 to 20 years, however, if it’s showing early signs of failure, it may be best to replace it rather than to keep fixing it up. One way you can do this is by comparing what its AFUE rating used to be to what it is now, then calculate how much you’ve been spending on heating bills. Aside from comparing AFUE ratings, you should be comparing your energy bills. If your energy bills are going up significantly, it may be time to consider upgrades, repairs, or a full system replacement. Fortunately, you don’t have to worry about your heating system this winter. If you’re looking for heating and cooling companies in your area, give us a call at Davis Heating & Cooling LLC. We will provide you with high-quality heating services before your friends and family arrive for the Holidays.